Many of you might remember Allen Willie’s story from our SWLing Post “Listener Posts” collection. My radio DXing journey began in my hometown of Lacombe, Alberta here in Canada . They have all played a wonderful part in my DXing enjoyment over the past half century. My first evening of DXing began on the AM (Medium Wave) radio dial as I logged 560 KMON Great Falls, Montana for my first DX catch. The rest as they say is history and was to remain a lifelong enjoyment in such a great hobby. DXCC Ham Radio Countries heard 338/340 from within Alberta and Newfoundland overall. Heard All 50 US States on Ham radio from within Alberta and Newfoundland both. Looking forward to Year 51 ahead and many more in the hobby!! Bravo, Allen! Those are most impressive accomplishments! That took a lot of time, patience and radio fun. Here’s to 51 and onward! This entry was posted in Mediumwave, News, Shortwave Radio and tagged Alberta, Allen Willie, Allen Willie VOPC1AA, DXing, Mediumwave, Newfoundland, shortwave, Ultralight DX on June 18, 2018 by Thomas. Allen Willie’s radio story is the latest in a new series called Listener Posts, where I will place all of your personal radio histories. I first discovered radio DXing during the summer of 1968 at the age of 13 while living on the family farm at Lacombe, Alberta. It was the evening of June 17th to be exact. What would become a life long passion was about to unfold. While sitting at the kitchen table I began to tune the Crosley model table top AM – FM radio sitting nearby with curiosity ultimately hearing signals that seemed weaker and not local in nature. “It’s 8:00 PM Mountain Standard Time, This is 5-60 KMON Great Falls, Montana” followed by network news. From that moment forward I was hooked on long distance radio reception . My radio DXing passion would have it’s spark lit that very night. During the rest of that evening and over the coming months, I would continue to log many AM stations from the western United States and Canada including stations that are now no longer in existence, have changed callsigns, or have transferred to FM. A few of the stations that I logged the first few nights included 1550 – KKHI San Francisco, 1330 – KUPL Portland , Oregon, 1360 – KMO Tacoma, Washington & 1600 – KLAK Lakewood, Colorado. Over those initial years while still living and working on the farm I would develop an interest in other modes of radio DXing including Shortwave and TV as well. I first had the opportunity to tune the Shortwave bands on a Zenith Trans-Oceanic tube model receiver during Sunday visits with my aunt and uncle. In later years that radio would eventually become mine. After leaving the farm in 1974 and beginning a working career with Canada Post, I was able to eventually advance in their management ranks to Zone Postmaster and have the opportunity to reside and DX in several different communities within the province of Alberta. During that period of time my main receiver in use was a Realistic DX – 300. Within Alberta, my favorite location for radio reception from amongst the many places I had lived and worked was Beaverlodge, Alberta situated about 300 miles northwest of Edmonton. It was great for long distance reception there with hardly any local stations close by to cause interference. During the eighties I discovered the wonderful world of QSL cards and sent reception reports to many AM , FM , Shortwave and TV DX stations as well. Later as the nineties came along, I also became a reception monitoring reporter for several of the Shortwave stations by sending reception reports on an ongoing basis to them. My favorite was Radio Beijing, now known as China Radio International. In appreciation the staff of the station sent many souvenirs , QSL cards and reading materials in return over those years for my efforts. Additionally I had always had the wish to work in radio someday. That opportunity presented itself in 1992 after retirement from the postal service. I had the good fortune to get on board with an AM and FM station locally in Red Deer, Alberta which gave me a real sense of what working in radio was like. During the mid nineties I would acquire another receiver for DXing , the Yaesu FRG-100. Carrying on with the radio interest I also set up a few different internet radio stations online through Live 365. Today , one of those stations still remains in operation serving up 24 hour classic country music. After being diagnosed with Multiple Sclerosis in 1999, I found it much harder as time went on to deal with the harsher climate in Alberta, the minus forty degree and plus thirty degree extremes in temperature were having an adverse effect on my day to day mobility and general well being. Through consultations with my medical specialist, the thought was that a change to a more temperate climate might be of help for my ongoing symptoms. During that time period I had also been engaged in online conversations with a very nice couple who lived in Newfoundland. We eventually became good friends and have been for several years now. They too had also suggested that Newfoundland’s milder climate could be of benefit to my health . Eventually a move to Newfoundland was in the works by September of 2002. At that point my whole world was about to change for the better, medically speaking as well as radio DXing wise. A double bonus came my way making that move to Newfoundland . After about a year and a half I could notice a significant difference in how I felt still dealing with the MS and what can I say about the radio DXing? Absolutely fantastic! In all the years residing in Alberta I had heard many USA and Canada stations on the AM dial, however only a handful of countries. Since moving to Newfoundland I have now logged over 100 countries on the AM Broadcast band. Over the years I was also involved in Ham Radio Band DXing as I competed in many of the SWL sections of Amateur radio contests as well as trying to log each country on each of the various amateur radio bands. 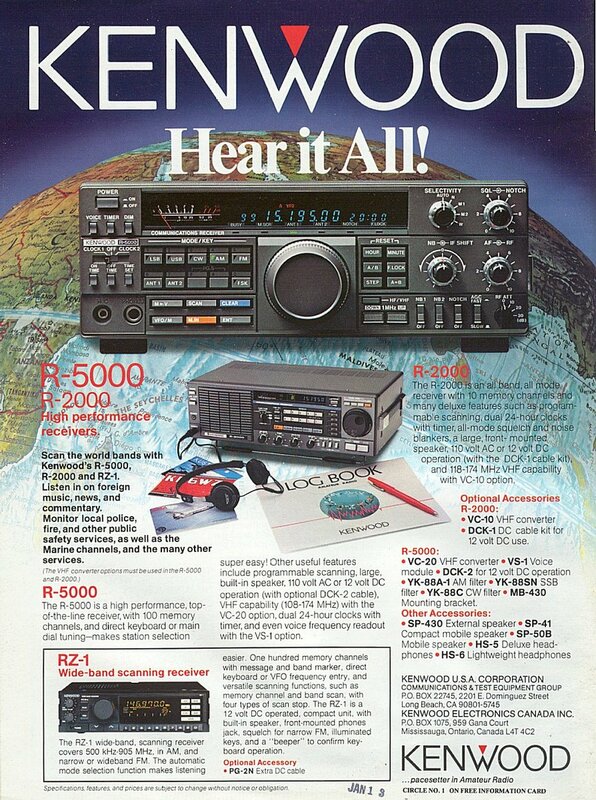 During the mid 2000’s I would attain another receiver for DXing, namely the Kenwood R-5000. In 2008 the radio world would discover a new interest presented to DXers as Ultralight Radio DXing had it’s early beginnings thanks to veteran DXers, John Bryant, Gary DeBock , Robert Ross and others. I had submitted some logs of what I was hearing to various sites after aquiring an Ultralight radio and the the Ultralight Radio Committee had noticed my logs posted online and asked me if I would like to share what I had heard with their group members as well. The rest is history as I have also been an avid Ultralight Radio Medium Wave DXer for the past 6 years. There was also a stretch of time when I had tried to eventually hear and log a radio signal from each and every independent nation of the world just for fun using a combined mixture of numerous modes of radio i.e ham, AM, Shortwave etc. I accomplished that feat twice in fact, by 2006 and again just prior to 2013 . While living in the tiny community of Bristol’s Hope, Newfoundland from 2011 onward, I was able to have my longest radio antenna in service ever, a 1200 foot longwire in place. The location was great for Trans- Atlantic reception as it was in a bit of a remote area with little or no man made interference and noise. Living directly above and practically over the water at a higher point helped for better reception as well. With potential residences taken up quickly due to recent economic prosperity in Newfoundland during the past year or so, it was much harder to find another place to live. Luck shining upon us, we finally found a residence in Carbonear, but had to wait a month to move in. Meanwhile some folks in Northen Bay, Newfoundland offered their house to us temporarily for that month during the wait. 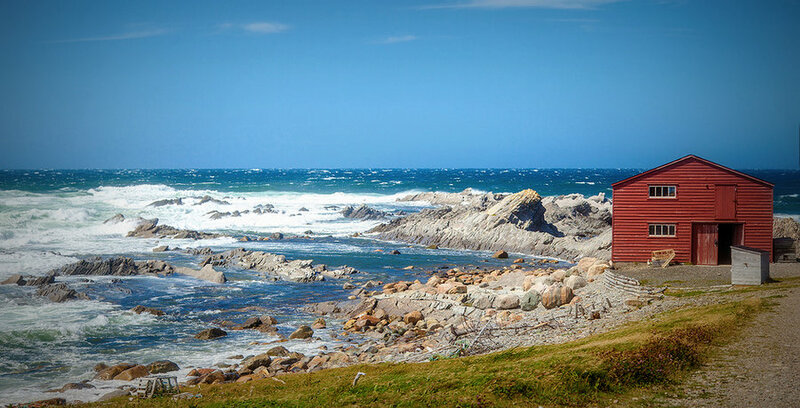 With the temporary move to Northen Bay , that circumstance opened up the possibility for a Medium Wave Dxpedition there for the month. It was my first attempt at a DXpedition and I enjoyed the experience very much. Another new chapter of my radio DXing has now begun living in Carbonear. That is my forty seven years in a nutshell involved in the wonderful hobby of radio and DXing. Many thanks, Allen, for sharing your story. I’m so happy to hear that Newfoundland and DXing have both been good “medicine” for you! If you would like to learn more about the hobby of Ultralight DXing, join the Yahoo Ultralight DX Group. This entry was posted in Listener Posts, Nostalgia and tagged Allen Willie, Allen Willie VOPC1AA, Gary DeBock, Listener Posts, Radio Stories, SWL Stories, VOPC1AA, Your Radio Story on January 8, 2014 by Thomas.